With around 32,000 students from over 120 nations, Johannes Gutenberg University Mainz (JGU) is one of the largest and most diverse universities in Germany. 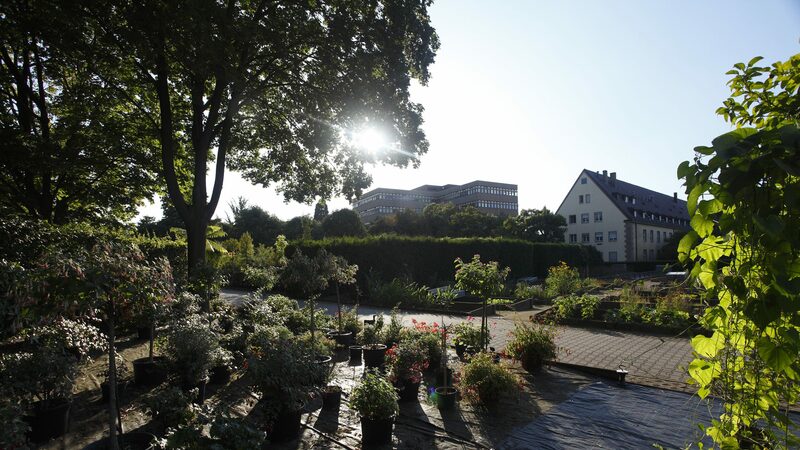 JGU unites almost all academic disciplines under one roof with its University Medical Center, its Academy of Arts and School of Music and the Faculty of Translation Studies, Linguistics and Cultural Studies in Germersheim. In over 150 institutes and clinics, 4,400 academics, 560 of whom are professors, teach and carry out research. JGU offers 75 subjects and numerous combinations, meaning students can obtain degrees in more than 260 disciplines. As the only German university of its size, nearly all of the institutions of JGU are located on one single campus near the city center, which is also home to four partner institutes involved in top-level non-university research: the Max Planck Institute for Chemistry (MPI-C), the Max Planck Institute for Polymer Research (MPI-P), the Helmholtz Institute Mainz (HIM) and the Institute of Molecular Biology (IMB). The campus of the University Medical Center is only about a kilometer away and both Mainz Leibniz Association institutions – the Institute of European History (IEG) and the Roman-Germanic Central Museum (RGZM) – are located slightly further away in the inner city. In addition to this, many local businesses also carry out research, making Mainz a uniquely dynamic research hub. JGU enjoys global eminence as a research-driven university. Its main core research areas are particle and hadron physics, the materials sciences and translational medicine, while its most outstanding research achievements in the humanities have been attained in fields of American studies and historical cultural studies. Successes in the Excellence Initiative of the German federal and state governments have confirmed JGU's academic status. In 2012, the research network Precision Physics, Fundamental Interactions and Structure of Matter (PRISMA) was recognized as a cluster of excellence and the financing of the Materials Science in Mainz (MAINZ) Graduate School of Excellence was extended. Moreover, excellent placings in national and international rankings as well as numerous other honors and awards demonstrate just how successful Mainz-based researchers and academics are. Another attribute of JGU is its research-oriented teaching – which incorporates research- based topics in the curricula early on. Similar emphasis is placed on promoting and mentoring young research talents. JGU also considers the exchange of knowledge with society as one of its key duties. As an open university, JGU offers the populace a unique portfolio of information dissemination concepts that extend far beyond the scope of standard popular academic formats. Through its system of university governance, JGU makes sure that its members participate in the strategic planning and that outstanding academics get involved. Johannes Gutenberg University Mainz was originally founded in 1477 and today still strives to emulate the innovational spirit of its namesake. The promotion and introduction of new ideas, the use of knowledge to improve people’s lives and encourage them to overcome the many boundaries they encounter daily – these are the underlying ambitions of Johannes Gutenberg University Mainz.